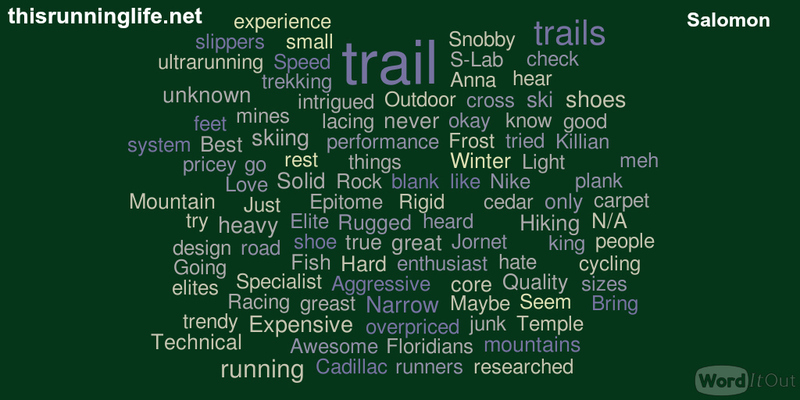 Few brands are so solidly identified with trail running as Salomon. As you can see from the responses this holds true here, too. Not only do you see trail specific responses, you also see brand identification with its highest profile Athlete, Killian Jornet. Other responses are more mysterious. Florida? Note about the survey: I conducted this survey from September 1 through December 23, 2014. I used a google sheets survey and publicized it on Twitter, facebook, and this blog. The survey garnered 198 responses.